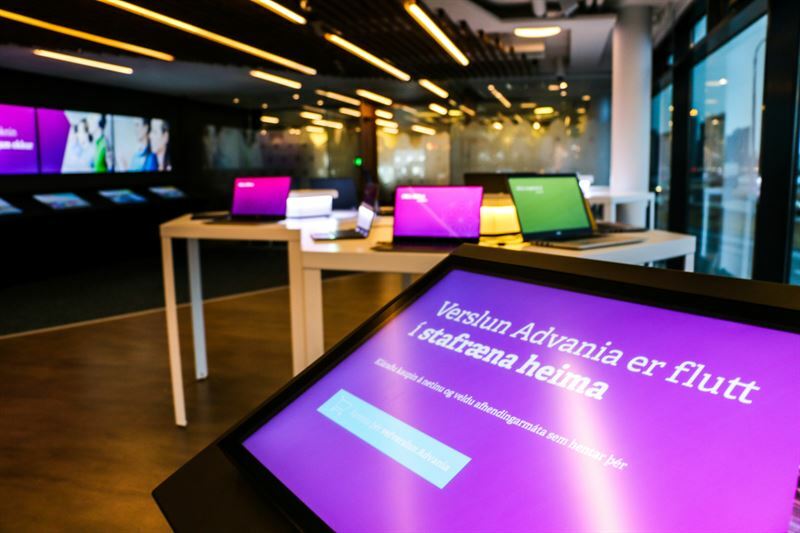 In the beginning of 2018 Advania closed its retail store and moved exclusively towards online retail operations. After successful traditional retail operations for 30 years, the decision to close the store was daring but well contemplated. Advania has operated an online shop for some years. In recent years the purchasing behavior of customers has been changing in accordance with their ever-increasing interest in ordering hardware online and have it delivered to their home. Ægir Már Þórisson, the CEO of Advania Iceland, says that the company saw great potential in its online store. By using digital mediums, it would be possible to provide the customer with even better services. "Icelanders take less advantage of online shopping than many other nations. We believed it was possible to do better in this area," he says. The transfer was prepared thoroughly and all service processes were completely restructured. "We needed to ensure short delivery times, free delivery, and that all customers could receive service through a webchat upon entering our site. It was necessary to ensure that item descriptions were detailed and that the customer could easily compare features and price for our products. All sales and marketing operations became digital, measureable and traceable." Now the company’s online store is in direct competition with Amazon and other international giants. "Consumer protection is an important aspect in this regard. People want to have clear warranty terms with someone who is easy to reach, and delivery time is of great importance." Ægir states that online stores are often not properly maintained once they have been launched. "Our idea was to operate a dynamic online store. Even if the store is online, it still needs a store manager and all traditional store services," says Ægir Már. Customers can now log in to online store, view earlier transactions and their business history, and make new purchases based on this historical data. "By moving over to the digital world, we were able to vastly increase our range of products. There are now approximately two thousand product types in Advania’s online store, a number that would never have fit into our former retail premises," says Ægir Már. Since Advania closed its retail premises the company has increased total sales by 22% and turnover in the online store by 82%.